The Ranger name started as a trim package on the full size F-Series trucks. Ford had been importing the Ford Courier since 1972 as a compact pick up. The Courier was produced by Mazda and at the time Ford owned a 7% stake in Mazda (Ford acquired a 24.5% stake in 1979). Ford introduced the Ranger as the replacement for the Courier. With the introduction of the Ranger as a compact truck, ‘ XLS’ replaced the Ranger name on the F-Series. 1983 Ford Ranger – Replacing the Mazda-built Courier for 1983 was the Ford-built Ranger truck. Introduced early in the 1982 calendar year, the Ranger was nearly the same size as the Courier and also offered 6 and 7 foot beds. Unlike the Courier, however, it was available not only with a regular four-cylinder engine, but also with a V-6 or 4-cylinder diesel engine. It became available with four-wheel drive later in the model year. The base Ranger had the 2-liter inline 4-cylinder engine rated at 72 hp. A 4-speed manual transmission was standard. The 2.3-liter diesel 4-cylinder was rated at 59 horsepower, and the 2.8-liter V-6 was rated at 115 horsepower. 5-speed manual or 3-speed automatic transmissions were available. Click HERE to view Ford Ranger Fuel Mileage Ratings. 1984 Ford Ranger – The Ranger styling continued unchanged, but some marketing moves were made to broaden its appeal. In addition to the base truck and the more upscale XLS and XLT models, a Ranger S model was introduced that was a very stripped down version. 5-speed manual and 3-speed automatic transmissions were also options. 1985 Ford Ranger – Newly standard for the 1985 Ranger was a fuel-injected 2.3-liter four-cylinder engine that was more powerful than the carbureted version it replaced. A carbureted 2.8-liter V-6 remained optional, and newly available was a four-speed automatic transmission. The 5-speed manual transmission became standard, replacing the 4-speed manual. A 86 horsepower Mitsubishi four-cylinder turbo diesel was offered starting this year, and ran through 1986. Sales brochures talked about the increased use of aluminum and composite materials in the construction of the pickup bed and other areas as examples of how Ford was fighting corrosion. 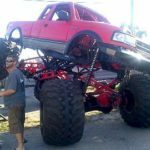 Ford also continued to stress that the Ranger was truly a small scale version of the F-150, down to the same ladder-type frame construction and twin I-beam front suspension, a Ford trademark for more than 20-years. 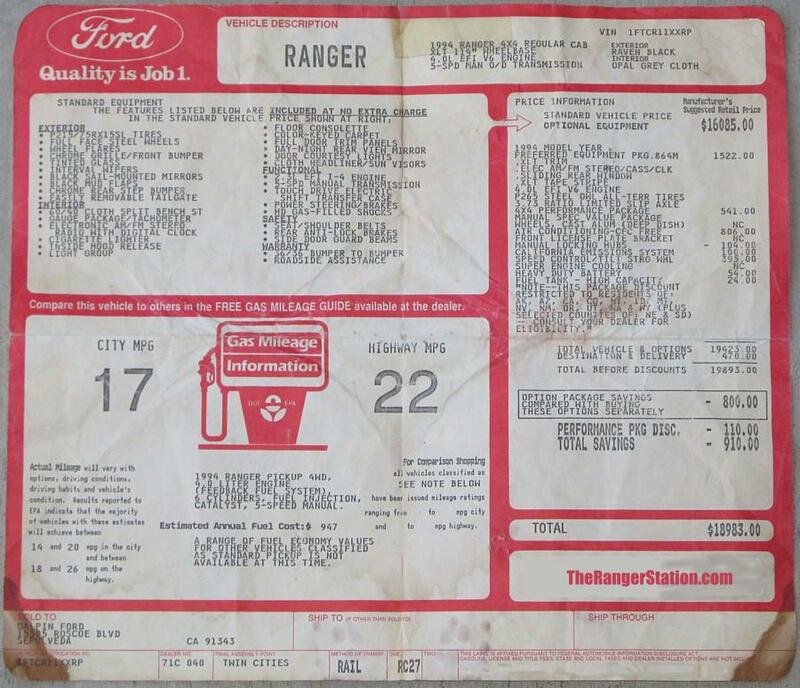 More than 232,000 Rangers were sold in 1985. 1986 Ford Ranger – Ranger at last followed the body lineup available on the F-Series and offered a standard cab and a new Super Cab. The Super Cab had 17 inches of storage space behind the folding front seats, and two jump seats were options that could be placed back there. The Super Cab could only be had with the standard 6-foot bed, but buyers of the regular cab could choose from the 6 and 7 foot bed. Under the hood, the entire Ranger lineup had electronic fuel injection. Newly available on the base Ranger S was a 2.0-liter inline 4-cylinder while the most powerful engine available was the 2.9-liter V-6 rated at 140 horsepower. Also offered that year — but rarely ordered — was the 2.3-liter turbo diesel 4-cylinder. Four wheel drive Rangers got a new “shift-on-the-fly” system in 1986. 1987 Ford Ranger – A new 4×4 model was introduced called the High Rider STX that included a bed-mounted light bar and tubular grille guard.. It had 1.5 inches more ground clearance than the previous year’s 4×4 model. Other changes included dropping the 2.3-liter on the Super Cab for the larger 2.9-liter V-6. New white painted wheels were an option on some trucks and all the radios had an electronic display, which also included a clock, as standard. 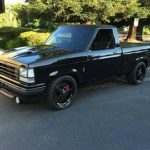 1988 Ford Ranger – Changes were limited to trim with new cast aluminum wheels the most visible change. The average age of the Ranger buyer was 30 and most passed up the standard model in favor of the XLS or Super Cab models. Newly available for two-wheel-drive regular cabs was a GT package with sport suspension, front spoiler, and side skirts. 1989 Ford Ranger – The Ranger received an updated look to the front end with flush mounted halogen headlights, wraparound parking lights and a flush mounted grill that mimicked the look of its Ford F-Series big brother. Interiors were also new. A new 2.3-liter twin-sparkplug, fuel injected inline 4-cylinder replaced the old 4-cylinder of the same displacement. The new engine was rated at 100 horsepower. It had a revised intake system and distributorless ignition. The 140-hp 2.9-liter V-6 also remained available. The Ranger also received a rear wheel antilock braking system for ’89. A 21-gallon fuel tank was optional on Regular Cab Rangers with the extended pickup bed. 1990 Ford Ranger – Mid-year 1990 models received an additional V6 engine option: a burly (at the time) 4.0-liter V6 that produced 160 horsepower & 225 ft-lbs of torque (20 hp. & 55 ft-lb more than the 2.9-liter V6). With the 4.0-liter V6 came a larger 8.8-inch rear axle. At the same time, all 4×4 Rangers (including those with the smaller engines) also received a larger Dana 35 front axle, and a Borg Warner 1354 transfer case. Both the 4.0-liter V6 and the 2.9-liter V6 were available with 2 or 4 wheel drive with a 5-speed manual or 4-speed automatic transmission. 2.3-liter I4 offerings carry over from 1989. On a limited number of Rangers with the 72-inch bed, Ford offered as a no-cost option, a bed made from plastic composite material as a way to fight corrosion. Gone for 1990 was the sporty GT package. 1991 Ford Ranger – A “Sport” model was added with a special paint and tape package for Regular Cab. Special aluminum wheels, 60/40 cloth split bench seat, and AM/FM/Cassette stereo w/clock completed the Sport truck. Two-wheel-drive Rangers got an optional 3.0-liter V6 engine (replacing the optional 2.9-liter engine), gaining five horsepower in the bargain. The 140hp 2.9-liter V6 however remained available for 4x4s. 1992 Ford Ranger – Ford used additional galvanized steel to resist corrosion. Fog lamps were now standard on STX 4×4 Rangers (optional on Sport and XLT). Ford discontinued the cloth headliner on the entry level S model as a way of reducing the price. Engine and driveline choices carry over from 1991. 1993 Ford Ranger – The Ranger received a new aerodynamic look for 1993. New flush side glass, wider doors for easier access, slight fender flares and a rounded front end were all hallmarks of the freshened Ranger. 4X4’s got their own distinctive grill & overfenders, and minor changes to the interiors were made to all models (including redesigned door panels, a restyled dome light with map lights for XLT & STX, and a center armrest compartment for the 60/40 split-bench seats). AM/FM radios with cassette or compact disc players were offered as options. Mid-year for 1993, Ford introduced the Ranger Splash (See picture above) which received a flareside bed, body-colored bumpers & grill, 15″ chrome steel wheels (RWD) or 15″ aluminum wheels (4×4), sport-tuned suspension (RWD), and distinctive, colorful graphics. The optional 3.0-liter V6 first seen on 1991 RWD trucks became available for all models (replacing the 2.9-liter V6 on 4x4s), and was offered as standard equipment on SuperCab 4x4s, and on all STX models. The optional 4.0-liter V6 continued forward largely unchanged. The Dana 28 front axle re-appears under 4×4 Rangers with the 2.3-liter I4 engine (and also under a small number of 3.0-liter V6 trucks w/auto transmission) in the form of a “hybrid Dana 28/35” axle; It had a Dana 28 differential & gears in the housing, but the rest was all Dana 35 parts. A little-known option for 1993-1997 trucks was the “4×4 Performance Package”, which automatically stepped you up to the 4.0-liter V6 engine, 3.73:1 limited slip rear axle, P265/75R15 (31×10.50R15) OWL all-terrain tires, heavy duty shock absorbers, and skid plates for the fuel tank and transfer case. No obvious external cues (such as a “4×4 Off-Road” decal) were included to indicate the package’s presence. 1994 Ford Ranger – First offered only as a regular cab, the Ranger Splash for 1994 is now available with the SuperCab (shown above). 1994 XLT 4×4 models received exclusively a distinctive all-chrome front grill. Side door intrusion beams were also added. Ford-owned Mazda began selling its own version of the Ranger as the B-Series, though it didn’t offer a Flareside bed. A standard driver’s-side airbag was introduced, as was a brake/shift interlock for the automatic transmission. A 4-wheel antilock brake system became standard on all 4×4 Rangers, and on all with the 4.0-liter V6, but remained optional for other 2-wheel drive Rangers. The 2.3-liter and 3.0-liter engines received minor internal improvements. As a result, the engines ran more smoothly, with the 2.3L receiving a 14 horsepower gain, and the 3.0L receiving a 7 horsepower gain over 1994 numbers. An improved electronically controlled 4-speed automatic transmission also became available. On the outside, Rangers got a slightly revised grill and tape stripe treatment, while inside there was an all-new instrument panel sporting a double-DIN audio deck. Available on XLT, STX, & Splash was a new 6-way power driver seat (SuperCab only), 6-disc CD changer (in lieu of the in-dash single-disc player), and a remote keyless entry w/alarm. 1995 began the move toward OBDII (required by the EPA for 1996) with the new EEC-V engine management system, and more-integrated electronics. The 2WD STX model was discontinued. 1996 Ford Ranger – Ranger now offers the added safety of an available passenger side airbag. As an added precaution, the passenger airbag could be deactivated by a dashboard switch when a rear facing child seat was used. Other changes included a factory certification of all Ranger engines stating that they could go 100,000 miles between tune-ups under normal driving conditions if the fluid and filter are changed regularly. The flareside truck bed, previously available only with the Splash trim package, was now offered with other trim levels as well. 1997 Ford Ranger – For 1997, the Ranger lineup added a significant product advantage in this segment, a new 5R55E five-speed automatic transmission for the 4.0-liter V6 that improves performance. A single-disc in-dash CD player returned to the audio options list (the six-disc CD changer also remained available). A second 12-volt power point was added to the dashboard, as was a SuperCab cargo area cover. 4-wheel antilock brakes, previously standard on some ’95 & ’96 models, was made optional again to lower the price and offer the buyer more choices. The 3.0-liter V6 became the base engine for all 4×4 models (replacing the 2.3-liter inline-four for Regular Cab 4x4s). 1998 Ford Ranger – 1998 brought the biggest functional change to date for the Ranger: Replacing the veteran Twin-I-Beam front suspension (Twin-Traction-Beam for 4×4 models) was an all-new A-arm (or wishbone) style independent front suspension w/rack & pinion steering, giving the truck a better steering feel and handling. Coil springs are used under the front of RWD models, and torsion bars are used on 4×4 models. New “Pulse Vacuum” hub-locks enabled virtually silent 4×4 engagement on the fly with a flick of a switch on the dash. Engine improvements included enlarging the base four-cylinder engine from 2.3 liters to 2.5 liters (giving it 5 additional hp. ), and a new intake manifold for the 3.0-liter V6 that improves torque, or pulling power, by 14 percent. The standard cab was stretched 3 inches, thanks to a 3.6-inch increase in wheelbase. Other improvements include the Ranger’s previous C-section frame now being boxed from the front bumper to the A-posts, greatly enhancing overall solidity. The Ranger’s sheetmetal forward of the A-pillars has also been tastefully cleaned up for ’98. The fresh pieces include a new front grille, front bumper & valance (with tow loops on 4×4), lights, and an aluminum hood. Designers also lowered the truck’s hoodline and increased the rear-window size, which greatly improved outward visibility. New Second Generation depowered driver/passenger air bags were used with a manual passenger deactivation switch. Other additions were tie downs in the bed to help secure cargo. 1998 also brought about significant changes to the available 4×4 Performance Package. Now called “Off-Road Group”, it includes: P235/70R16 all-terrain tires on aluminum 16×7 wheels, heavy duty shock absorbers, fog lamps, styled manual mirrors, “4×4 Off-Road” decals, and skid plates. The package also deletes the chrome grill & bumpers from the XLT model for ’98 (replacing them with painted gray pieces). Strangely, the limited slip rear differential and 4.0L V6 were no longer part of the package, but remained available as separate options. A manual transfer case shift lever w/manual hubs was no longer available. 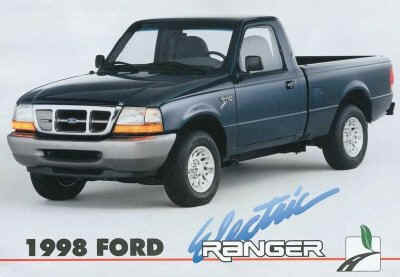 Ford introduced the Ranger EV (Electric Vehicle) for 1998. Powered by a rear-mounted 90-horsepower electric motor, the EV claimed a top speed of 75 mph and a range from 35 to 50 miles from conventional lead-acid batteries mounted between the frame rails. Anti-lock brakes, dual airbags, and an electric heater were standard; air conditioning was optional. The Ranger EV was only available with the Regular Cab. The Ford Ranger EV’s instrument panel included a “Distance to Empty” gauge indicating how far the truck can be driven based on the amount of charge left in the batteries. The “E” on the gear indicator stood for “Economy Drive.” When selected, it increased the amount of electrical regeneration when braking. A mid-year addition for 1998 was the Ranger four-door SuperCab, which offered dual rear-hinged back doors, a feature not available on any other contemporary compact pickup at the time. The 3.0L V6 was now a Flex-Fuel engine, it could run on mixtures of gasoline containing any percentage of ethanol from 0% to 85% (E85 fuel). XLT 2WD models received larger P225/70R15 tires as standard (P205/75R14 tires remained standard on XL 2WD). The 4×4 Off Road Group now included larger P245/75R16 OWL all-terrain tires, 4.10:1 axle gear ratio (though the limited slip differential remained a separate option), and no longer deletes the chrome bumpers & grill from the XLT as it did on 1998 models. The Splash model was discontinued, leaving only the XL and XLT trim lines, however you could add a “Sport” appearance package to either, which included many of the features seen on the previous Splash trim (such as the color-keyed bumpers & grill), and adds a “Sport” decal. The flareside box also remained available. SecuriLock (PATS key) ignition anti-theft system is introduced (XLT V6). 2000 Ford Ranger – For the new millennium, Ford brought forth the “XL Trailhead Group” for the Ranger, which was a predecessor to the popular Edge model that debuted the following year. 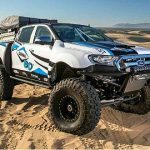 It’s essentially a 2WD look-alike of the 4×4 (has the suspension components and stance of a 4×4, but without front axle driveline components or fender lip moldings). Also included in the Trailhead Group: Payload option #2 (4820lb GVWR w/1580lb payload), CD stereo w/clock, “Trailhead” decal. 15-inch wheels became standard on all 2WD models for 2000. Gone are the amber turn signal lamps on the rear tail lights. 2000 models-forward now sported two-bulb tail lights instead of 3-bulb. 2001 Ford Ranger – Biggest arrival for 2001 was the 4.0-liter Single OverHead Cam (SOHC) V6 engine that originally debuted in the 1997 Explorer. It is a further evolution of the OHV 4.0-liter V6 introduced in 1990, and is rated at 207 HP & 238 ft-lb TQ, for an improvement of 47 HP & 13 ft-lb TQ over the OHV 4.0-liter. Mid-year, a Mazda-built 2.3-liter Dual OverHead Cam (DOHC) inline-four was also introduced as the base engine for 2WD models. It’s ratings are 135 HP & 153 ft-lb TQ, for a 16 HP & 7 ft-lb TQ improvement over the 2.5-liter inline-four it replaced. These figures for the four would eventually be revised even higher. Also debuting is a 5R44E 5-speed automatic transmission for both the 3.0-liter V6 and the new 2.3-liter I4 engine (the 5R55E continues forward, now paired to the 4.0-liter SOHC V6 engine). All 2001 models got a facelift, including a new grill, hood, bumper, and revised headlamps and tail lamps. Joining the XL and XLT lineup was the new “Edge” model, replacing the previous year’s XL Trailhead Group. 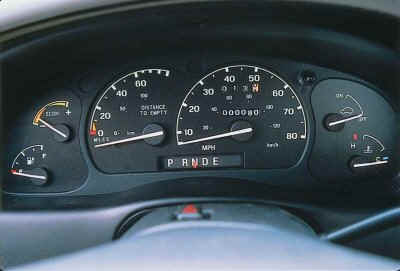 The Edge was available as both 2WD or 4×4, and also made standard some of the items seen in the 2000 “XLT Sport Appearance Group” (such as the color-keyed bumpers and wheel lip moldings). The Edge also included a high-dome fiberglass hood, giving the truck a distinct appearance. 4-wheel ABS with electronic brake force distribution finally became standard on all models. 2002 Ford Ranger – 2002 brought the introduction of the “FX4 Off Road” package, which transformed the Ranger into a formidable off-roader. 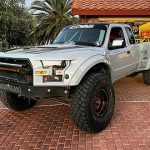 This package goes well above the basic Off-Road Group (or ORP) package… It includes: 4.0-liter SOHC V6 engine, Bilstein shock absorbers, high-performance Torsen limited slip 8.8″ rear differential with larger axle shafts, 4.10:1 axle gear ratio, 31×10.50R15 BFGoodrich All-Terrain tires wrapped around 15″ Alcoa forged aluminum wheels, and if you ordered the 5-speed manual transmission, you’d also get a highly-coveted manual transfer case shift lever (something not seen since 1997 models). Also included were FX4-exclusive seats & interior trim, and CD/Cassette audio system. Click HERE for more information on the Ford Ranger FX4 models. Introduced midyear was the Tremor SuperCab with a high-powered Pioneer CD/Cassette audio system. Also offered through Ford dealers was the SLP Thunderbolt Ranger, a 2WD XLT SuperCab modified by SLP Engineering of Troy, Mich. Available with the Thunderbolt package are cosmetic trim items, sporty suspension revisions, and tuning that adds 10 hp to the 3.0 V6 and 15 hp to the 4.0 V6. 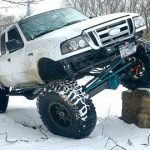 2003 Ford Ranger – Ford decided they were going to throw FX4 Ranger fans for a loop. For 2003, Ford renamed the “FX4 Off Road” introduced the previous year to “FX4 Level II”. 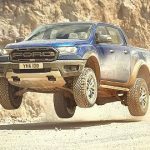 Meanwhile, Ford would then also rename the previous year’s more-basic Off-Road package to “FX4 Off Road”. Since the higher-end 2002 model had already been called “FX4 Off Road”, calling a more-basic package by the same name the following year created confusion in trying to figure out what truck has what (or that there are even two different FX4 models). Other changes for 2003 included additional power for both the 2.3-liter I4 and 3.0-liter V6 engines (143 HP & 154 TQ, and 154 HP & 180 TQ, respectively). Ford also says thicker glass and added insulation help quiet the Ranger’s cabin. 2004 Ford Ranger – The 2004 Ranger arrived with a number of minor appearance updates. They include a new grill, mildly revised interior including new instrumentation and steering wheel, and newly optional leather-trimmed upholstery. The seats were also revised to meet new U.S. safety standards. The manual transfer case shift lever seen on the manual trans-equipped 2003 FX4 Level II (and 2002 FX4) quietly slips away, much to the chagrin of off-roaders. 2005 Ford Ranger – Ford’s compact pickup for 2005 was little-changed from 2004. Towing/Payload Capacity: Payload is 1260 lb for all models (1600 lb optional) and maximum towing capacity is 5860 lb when equipped with the 4.0-liter V6. Specifications Key: NA = not available; “–” = measurement does not exist. 2006 Ford Ranger – The Ranger received a mild facelift for 2006. Styling changes for ’06 include a bolder “H-bar” front grill, restyled front side marker lights and tail lights, larger side-view mirrors, and a larger Ford emblem that was now centered on the tailgate. 2007 Ford Ranger – New features include a tire pressure monitoring system, automatic deactivation sensor for the passenger air bag (eliminating the manual air bag deactivation switch), and an optional Sirius satellite radio receiver. Auxiliary 3.5mm audio inputs were added to all but the base AM/FM radio. 2008 Ford Ranger – 2008 was initially slated to be the Ranger’s final model year, although partly due to a spike in gas prices, the Ranger was allowed to continue onward for another three years as a more fuel-efficient alternative to full-sized trucks. The lower front-bumper valance was re-engineered with an integrated 1-inch air deflector to help reduce drag and improve fuel economy. The fog lamps also were redesigned with a new larger diameter for improved visibility and a stronger appearance. Ranger Sport gets a new black horizontal slat grill. 4×4 models now sit 1-inch lower thanks to revised torsion bar adjuster keys & shorter rear leaf spring spacer blocks. The FX4 Level II package is dropped, however the Torsen limited slip rear differential could still be added separately to the FX4 Off Road package. Rancho shocks (instead of Bilstein) were also now part of the FX4 Off Road for ’08. 2009 Ford Ranger – The Ford Ranger soldiers onward for 2009. However the 3.0-liter V6 was dropped, leaving the only two engine choices the 2.3-liter I4 and the 4.0-liter V6. Ford also eliminated some notable configurations for ’09: you could no longer get a Regular Cab with 4×4 or the V6 engine. Trailer hitch receivers were now standard on all models. Click HERE to see the 2009 Ford Ranger Sales Brochure. 2010 Ford Ranger – Ranger is given some new safety features: Stability control (AdvanceTrac with RSC), traction control, and new side air bags. Rear brakes were upgraded to disc as well. The body-colored “H-bar” front grill returns to Ranger Sport. Notable items dropped from the options list: Traction-Lok limited slip rear differential, 7′ pickup bed (117.5″ wheelbase) for Regular Cab, and the FX4 Off Road package for 4×4. Click HERE to see the 2010 Ford Ranger Sales Flyer. Transmission: Both engines come standard with a five-speed manual transmission and are available with a smooth, durable 5-speed automatic transmission. 2011 Ford Ranger – 2011 ultimately became the North American Ranger’s final year. Initially scheduled to stop production at the end of 2008, the Ranger managed to hang on for three more years. The 2011 model is essentially a carryover from 2010. One change was the return of the option for a limited slip rear differential. Click HERE to see the 2011 Ford Ranger Sales Brochure. 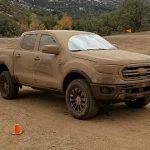 The Ford Ranger would return to North America in 2019. Click HERE to learn more about the 2019 Ford Ranger.